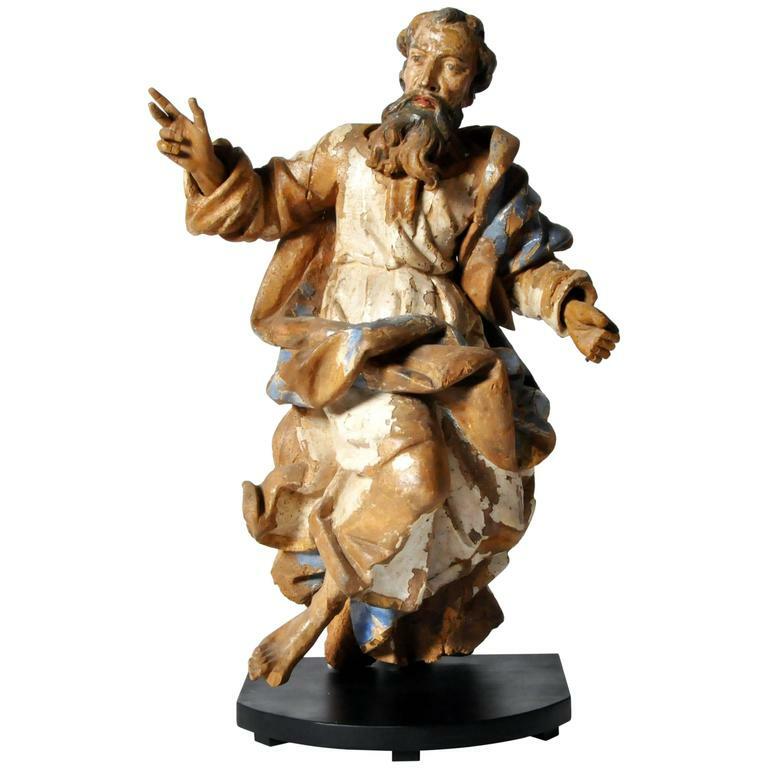 This sculpture of Saint Peter is from Italy and is made from poplar wood, circa 16th century. Saint Peter, according to the New Testament, was one of the 12 Apostles of Jesus Christ, leaders of the early Christian Church. He is also the "Apostle of the Apostles", an honor 3rd-century theologian Hippolytus of Rome gave him, and the first pope of the Roman Catholic Church, ordained according to Catholic teaching by Jesus in the "Rock of My Church" dialogue in Matthew 16:18. The ancient Christian churches all venerate Peter as a major saint and associate him with founding the Church of Antioch and later the Church in Rome, but differ about the authority of his successors in present-day Christianity. 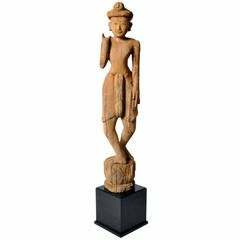 This sculpture is from Thailand and made from teak wood, circa 1980. 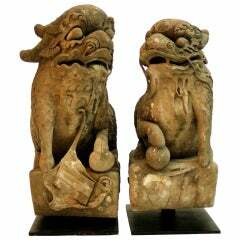 It is depicting a gong-carrying figure, standing on a lotus form base and raised on a black wood pedestal. Multi-color hand blown glass sculpture with internal threads in pastel colors. The piece is signed and dated by Peter Bramhall. Leaning or mounted sculpture of a woman by Peter Janssen comprised of sheet metal elements and found hardware detail. Multi-color hand blown glass orb sculpture with internal threads of blue, rose, amber and dark brown. Signed on bottom. 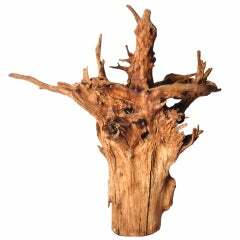 Wooden sculpture of Saint Catherine in walnut with traces of original paint. Dated 16th century-beginning of the 17th century. Measures: H 92cm, L 35cm, P 21cm. A wooden sculpture of Saint Anthony, 18th century. Large Peter Bramhall glass sculpture The large clear blown glass sculpture has strands of mauve and burnt orange and is dated on the bottom 29 May 1991.